Water conservation has become a way of life throughout the West, with water demand commonly outpacing supply. Imperial Irrigation District officials announced at a special board meeting late Friday that the federal Bureau of Reclamation has agreed to their condition that the drought contingency plan package include restoration of the Salton Sea. They said federal officials will write a strong letter of support backing IID’s requests for $200 million in Farm Bill funding for wetlands projects around the shrinking sea, which is California’s largest inland water body. California’s Salton Sea, the state’s largest inland body of water, formed when a dam broke. It stayed alive fed by agricultural water runoff. Today, it’s water supply is slowing, and the sea is drying up and losing its place as a fishing and recreation hotspot. But … the Salton Sea is finding new life as haven for artists. Rep. John Garamendi, D-Solano, introduced the Sites Reservoir Protection Act Thursday to provide federal support for the building of Sites Reservoir and other water infrastructures in the Central Valley. The act, also known as House Resolution 1453, would direct the Bureau of Reclamation to complete a feasibility study for the project Colusa and Glenn counties. We hope the move by MWD — which in 2016 had played hardball of its own by linking its support of the Colorado River drought plan to federal and state support of a Delta water project — doesn’t again sidetrack true federal involvement at the Salton Sea. A long-simmering, multi-million dollar dispute among coastal Orange County water and sewage districts took a major step toward resolution Wednesday, when a Superior Court judge issued a tentative ruling that Moulton Niguel Water District is obligated to pay outstanding bills to the South Orange County Wastewater Authority. California is drenched and its mountains are piled high with snow amid a still-unfolding winter of storms that was unimaginable just a few months ago. Drought conditions have almost been eliminated, hills blackened by huge wildfires are sporting lush coats of green, and snow has fallen in the usually temperate suburbs of Southern California. … The California Department of Water Resources reported Thursday that the Sierra snowpack is now 153 percent of average to date. Winter storms have blanketed the mountains on the upper Colorado River with snow. But even this year’s above-average snowpack won’t be nearly enough to make up for the river’s chronic overallocation, compounded by 19 years of drought and the worsening effects of climate change. To help build leadership capacity and acquire water management tools for valley communities, Self-Help Enterprises invites water board members and staff, water leaders, and residents from rural communities to participate in the 2019 Rural Communities Water Managers Leadership Institute. The six-month program is scheduled for March through August, with sessions held one Saturday per month at Self-Help Enterprises in Visalia. With a Monday deadline looming, the Metropolitan Water District of Southern California has offered to break an impasse on a seven-state Colorado River drought contingency package by contributing necessary water from its own reserves on behalf of the Imperial Irrigation District. It’s not help that IID is seeking, but Metropolitan general manager Jeffrey Kightlinger said he had no choice. The state is having problems processing organic waste generated by the marijuana industry, and that may hinder efforts to meet ambitious environmental targets. … There are no official numbers on how much waste cannabis businesses generate … but a typical, mid-sized manufacturer will produce 250 to 500 pounds of waste a day. In the long term scientists suggest that El Niños—or, at the very least, their effects on weather and climate events around their world—may become more severe as the planet continues to warm. SFGate: Why aren’t meteorologists talking about El Niño amid California’s wet winter? The water gushed from a valve near the base of the Loveland Reservoir’s dam at 146,300 gallons per minute, cascading into the Sweetwater River below. The impressive sight near Alpine … marked the start of an ongoing transfer of water from the Loveland Reservoir to the Sweetwater Reservoir, where the water will be treated by the Sweetwater Authority and later supplied to the water agency’s customers in National City, Chula Vista and Bonita. The new administration has signaled a shift in water policy by specifically talking about turning salty water potable after Gov. Gavin Newsom (D) said he would support only a single tunnel as part of the project known as WaterFix. … But talking up desalination is much easier than making it a reality. In the four years since California updated its desalination regulations, none of the eight applications for new or expanded facilities has been approved. Meanwhile, the costs for the projects keep rising and the state has few details about its plans. The new House of Representatives is rolling out its game plan and strategies for the next two years, and it’s clear which state holds the most clout: California. … California now has more Democrats in the lower chamber than the entire congressional delegations of Iowa, Kentucky, Maryland, Massachusetts, Wisconsin and Washington combined. The state’s power to shape the agenda goes beyond leadership. In the environment and energy fields, 12 Californians are subcommittee chairs and vice chairs. For the next 75 days, Cindy Berglund will be traveling around Southern California in her motor home, lugging rain barrels with her. Last weekend, her company, Rain Barrels International, joined with the city’s Office of Sustainability to offer a free class on rainwater harvesting. More than 80 people signed up in advance for the class at Recreation Park but the presentation ended up being to a standing room only crowd. A second water tower in a Yuba County foothills subdivision has residents gushing. Gold Village, which was plagued for years with water and sewer problems, has been largely remedied for the more than 80 homes off Hammonton-Smartsvile Road northeast of Beale Air Force Base. “The county took care of it and everything is fine now,” said resident Daryl Davis. The wildfire that swept through Northern California this past November was one of the deadliest and most destructive in the state’s history. … While it may take a long time for these communities to rebuild after these natural disasters, what is often missed is how the forest will rebuild itself. It turns out forests are struggling to come back, and climate change might have something to do with it. Arizona’s efforts to finish a Colorado River drought plan are moving forward after leaders of the Gila River Indian Community announced that they will proceed with their piece of the deal. … The Gila River Indian Community’s involvement is key because the community is entitled to about a fourth of the water that passes through the Central Arizona Project Canal, and it has offered to kick in some water to make the drought agreement work. Los Angeles County officials are proposing to take ownership of 40 miles of flood-control channels along the Los Angeles River from the federal government in order to expedite maintenance and water conservation improvements as climate change increases the frequency of extreme weather. This year, the water agency plans to inform farmers and the community about not only the amount of water the Tuolumne River Watershed has received so far this year, but also will provide information regarding the final license application for Don Pedro, which first began eight years ago, and the ongoing legal battle surrounding the State Water Resources Control Board’s decision to implement 40 percent unimpaired flows along the San Joaquin River and its tributaries for the betterment of fish. With stepped-up stormwater capture programs, the Pacific Institute said in a 2014 study, Southern California and the Bay Area could boost the state’s water supply by 420,000 acre-feet annually. That’s enough water to meet the needs of 300,000-400,000 people. During the past two decades, the federal government’s spending on sewer projects along the U.S.-Mexico border has declined dramatically. 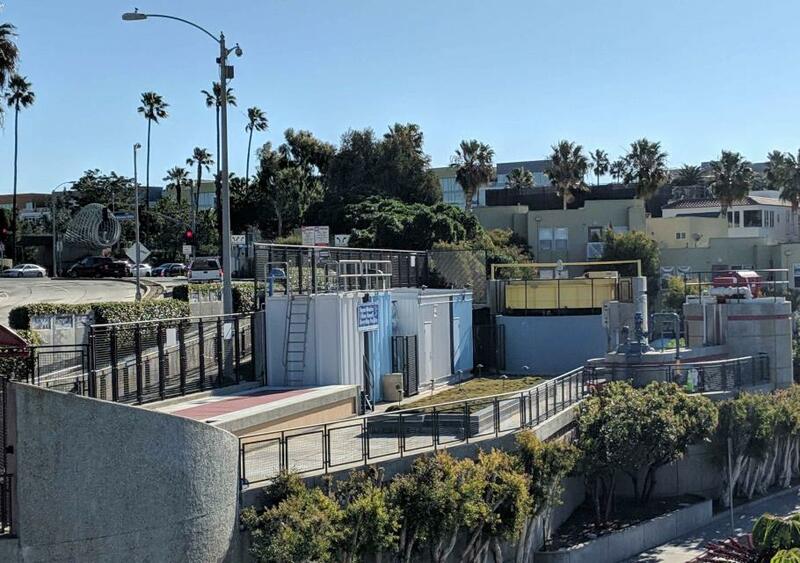 The decrease in funding has left a long list of needed sewer fixes unbuilt, while raw sewage and industrial pollution have continued to pour into the New River, the Tijuana River and other rivers that flow across the border. Now, Congress has started to put more money toward combating water pollution on the border. The city currently has six groundwater pumping stations that were used during the drought. But the stations have the ability to pump water back into the aquifer as well. The Folsom Dam currently has three gates open to release enough water so it has room to capture flood water. Roseville Utility officials say it’s just the right time to do a larger scale test of its water injection strategy. Although ending groundwater overdraft will bring long-term benefits, it entails near-term costs. We find that only about a quarter of the Valley’s groundwater deficit can be filled with new supplies at prices farmers can afford. The rest must come from managing demand. We estimate that ending the overdraft will require taking at least 500,000 acres of irrigated cropland out of production. The furrows in a 60-acre patch of dirt on Rodney and Tiffany Shedd’s Arizona farm still hold cotton scraps from last year’s crop. This year, that patch will stay barren for the first time in recent memory, thanks to the decline in Colorado River water for farms across Pinal County, one of America’s cotton-growing centers. At the March 29th Santa Ana River Watershed Conference in Orange County, the PPIC’s Ellen Hanak will put the top managers of the watershed’s five major water districts on the hot seat to uncover the region’s latest innovations and find out what the next generation of integrated water management planning looks like. Potter Valley Project: Could the dam go but the diversions remain? At a Town Hall Tuesday night, Rep. Jared Huffman (D-San Rafael) told the large crowd filling nearly every available seat in the Ukiah Valley Conference Center about a possible future for the Potter Valley Project that would remove the controversial dam, but preserve the water supply the Ukiah Valley has depended on for more than a century. In December, the city began delivering recycled water through its purple pipeline to the Tulare Irrigation District (TID) following approval by the Department of Drinking Water (DDW). Under an agreement signed in 2013, the city is obligated to deliver 11,000 acre feet of recycled water to TID per year in exchange for 5,500 acre feet of surface water used to recharge the city’s groundwater. Since 2016, the city has received enough surface water from TID to off set one year of groundwater pumping for the entire city. Noting the Klamath River’s history as the West Coast’s third-largest salmon-producing river, the City Council’s letter states that they believe a “free-flowing Klamath will revitalize” both the commercial and recreational fisheries, creating jobs and bringing revenue to the community. February storms have almost eliminated drought conditions from California. The U.S. Drought Monitor said Thursday that just over 67 percent of the state is totally free of any level of dryness. Just under 30 percent is classified as abnormally dry, and less than 4 percent remains in either moderate or severe drought. San Joaquin Valley farmers on the east side will be getting their full allocation of San Joaquin River water, while farmers on the west side will be getting only 35 percent to start, according to the 2019 initial water supply allocation released Wednesday by the federal Bureau of Reclamation. … The forecast prompted Westlands Water District, which covers more than 1 million acres on the west side, to express concern that the bureau is being too restrictive. The odds are looking increasingly poor that Arizona and other Western states will meet a March 4 federal deadline for wrapping up Colorado River drought plans. That’s not just because of the ongoing conflict over a now-shelved water rights bill for Eastern Arizona that prompted a threat from the Gila River Indian Community to bolt this state’s drought plan. It’s also not just because of a Southern California irrigation district’s efforts to secure $200 million in U.S. funds to shore up the dying Salton Sea. Southern California has been emerging from its most recent drought cycle thanks to one of the wettest winters the long-parched southern half of the Golden State has experienced in years — 18 trillion gallons of rain have fallen in February alone. … But don’t expect these storms to come to the rescue when — not if — more intense droughts return to the region. As we all know, Los Angeles and the surrounding areas have had lots and lots and lots of rain this winter. So much rain, in fact, that this week, Southern California Edison announced they’re lifting mandatory conservation requirements for residents and businesses on Catalina Island. … Water rationing on Catalina Island began in 2014, when residents were asked to adopt mandatory conservation efforts. At our current rate of climate change, many cities in western Oregon could come to feel a lot like the Central Valley of California over the next 60 years. A new analysis looking at climate projections for urban areas across the United States and Canada predict substantial changes in local temperatures and precipitation rates for Northwest cities. A single tunnel would perform almost as well as two tunnels, particularly when operated in tandem with the existing pumps in the south Delta. It would cost substantially less. And it would give assurances to environmental groups and Delta residents that the project would not create the large impacts many fear. Environmental groups should take this opportunity to sign on to a new approach for managing the Delta. Do Dams Increase Water Use? When people need more water, they often build dams to increase supply. But can dams increase water use in an unsustainable way, leading communities to live beyond their water means? That appears to often be the case, according to the authors of a recent paper in Nature Sustainability. Las Vegas is a textbook case. Rising temperatures can lower flow by increasing the amount of water lost to evaporation from soil and surface water, boosting the amount of water used by plants, lengthening the growing season, and shrinking snowpacks that contribute to flow via meltwater. … The researchers found that rising temperatures are responsible for 53% of the long-term decline in the river’s flow, with changing precipitation patterns and other factors accounting for the rest. Under the fee structure, there are two types of water use: agricultural and “all others.” Ag users will be assessed a $4.79/acre fee and other users will be assessed $2.26 per service connection. (Ag accounts for more than 90 percent of the pumping from the basin.) The new fees are part of California’s effort to regulate groundwater, which has historically been treated as a “pump as you please” resource, not subject to the same restrictions as surface water, like the Carmel River that largely supplies the Monterey Peninsula. House Speaker Rusty Bowers on Tuesday withdrew his bill that would repeal state laws on when farmers forfeit their water rights — legislation that the Gila River Indian Community said would cause it to withdraw from the multi-state drought contingency plan. But Bowers’ move did not get the tribe to sign the papers agreeing to provide Arizona with the 500,000 acre-feet of water it needs to make the drought plan a reality. When operating, Sites Reservoir will provide significantly more water during drier periods, to become a new drought-management tool to address California’s water management challenges into the 21st century and beyond. Innovative and environmentally sound, Sites Reservoir will provide water to enhance the environment when it can provide greater benefits and provide a resilient and reliable supply of water for our communities, farms and businesses. A new water market in Arizona shows how small innovations can help conserve water in the West—and why many more will be needed in the Colorado River Basin. It’s shaping up as a wetter-than-usual winter in California, putting to rest fears of another drought hitting anytime soon. Depending on where you live, though, you will still likely face some limitations on how much you can water your lawn this summer. Metropolitan General Manager Jeffrey Kightlinger said … the agency intends to work constructively with the Newsom administration on developing a WaterFix project “that addresses the needs of cities, farms and the environment.” But Kightlinger expressed frustration that the project will be delayed even more. Bureau of Reclamation’s Klamath Basin Area Office continues to operate under the 2013 Biological Opinion while a new document is being created, along with the court-ordered injunction in place to guide the Klamath Project. This failure is twofold. First, the DCP has limited provisions for actually conserving water — only $2 million for groundwater conservation programs in active management areas. … Second, the DCP fails to address conservation for Arizona’s rivers, streams and springs, even in the face of warming and drying trends. Conserving water is still a priority for California. How about other states? The Metropolitan Water District last week re-upped its turf-removal program, providing greater incentives for homeowners to replace thirsty lawns with drought-tolerant plants. In Utah, the state’s Division of Water Resources is encouraging residents to use more water so it can justify spending $3 billion on a pipeline that will take more water from Lake Powell… This tale of two states brings up an interesting question: Is water conservation de rigueur or passé? A controversial oilfield wastewater disposal operation east of Bakersfield has been shut down amid a years-long regulatory crackdown and opposition by environmental activist organizations. The Jan. 3 closure … puts an end to a practice regional water quality regulators say threatened to foul Bakersfield’s water supply through a slow process of underground migration. Colorado will launch a far-reaching $20 million conservation planning effort this spring designed to ensure the state can reduce water use enough to stave off a crisis in the drought-choked Colorado River Basin. The City of Ventura and its water customers have relied on the Ventura River as a primary source of drinking water for more than a century. Today, however, the region’s water supply is changing as the Ventura River watershed faces new, complex challenges. To protect our local water resources and safeguard the watershed for the future, we must change our approach to managing it now. Phoenix family farms disappearing. Why? When growth skyrocketed in Phoenix and the East Valley during the 1990s and 2000s, housing developments started replacing decades-old farms. Now, it’s the west side’s turn. In 2000, Maricopa County had 510 square miles of agricultural land and 180 square miles of residential land west of Interstate 17. By 2017, farmland had dropped to 350 square miles while agricultural residential land grew to cover 280 square miles, according to the Maricopa Association of Governments. What may be the nation’s largest dam removal project—delayed for years by regulatory and legal disputes of a utility, stakeholders and states over licensing and environmental permits—now may have new momentum after a hard-hitting January federal appeals court ruling. Kiewit Infrastructure West, Granite Construction and Barnard Construction are shortlisted for the $400-million project to design and deconstruct four hydroelectric dams on the Klamath River in California and Oregon. A potential grand compromise to settle a decades-long water fight has been obvious for years but blown off. Now Gov. Gavin Newsom is forcing all combatants to consider it seriously. A federal environmental analysis recommends relicensing the Don Pedro hydroelectric project and accepts a Modesto and Turlock irrigation district plan for well-timed flows to boost salmon in the Tuolumne River. The flows, combined with other measures to assist spawning and outmigrating young salmon, would commit less water to the environment than a State Water Resources Control Board plan that’s unpopular in the Northern San Joaquin Valley. Arizona Governor Doug Ducey steered away from the term “climate change” in order to garner political support for the state’s Colorado River drought plan, he indicated Friday in an interview with a Pima Community College newspaper. In that interview, he also avoided making any connection between climate change and the “drier future” (his preferred phrase) that Arizona faces. His omission bordered on a denial of the established links between the two. As Californians, I believe we must look west to the Pacific Ocean, where seawater desalination offers a proven, climate change-resilient solution. No longer do we need verification from Israel, the Middle East and Australia, where desalination facilities have literally helped save lives and fend off debilitating droughts due of climate change. Now, we can look much closer to home — in San Diego. In increasingly arid regions such as the western U.S., water managers are learning that careful management and restoration of watershed ecosystems, including thinning trees and conducting prescribed burns, are important tools in coping with a hotter, drier climate. The Coachella Valley Water District has overhauled and modernized its IT infrastructure, as part of a $16 million capital improvement plan that will improve data management, simplify payments and boost conservation. The strategy of turning to groundwater pumping will test the limits of Arizona’s regulatory system for its desert aquifers, which targets some areas for pumping restrictions and leaves others with looser rules or no regulation at all. In Pinal County, which falls under these groundwater rules, the return to a total reliance on wells reflects a major turning point and raises the possibility that this part of Arizona could again sink into a pattern of falling groundwater levels — just as it did decades ago, before the arrival of Colorado River water. The Colorado River has been dammed, diverted, and slowed by reservoirs, strangling the life out of a once-thriving ecosystem. But in the U.S. and Mexico, efforts are underway to revive sections of the river and restore vital riparian habitat for native plants, fish, and wildlife. Last in a series. Gov. Stephen Roe Lewis of the Gila River Indian Community said in a statement Thursday that a decision by House Speaker Rusty Bowers to move forward with a contentious water bill threatens the community’s plan to support the drought agreement. The Gila River Indian Community’s involvement is key because it’s entitled to about a fourth of the Colorado River water that passes through the Central Arizona Project’s canal. At long last, the Sacramento-San Joaquin River Delta twin-tunnels boondoggle is dead. Good riddance. Gov. Gavin Newsom made that official Tuesday during his State of the State address, calling instead for a smaller, single-tunnel approach that would include a broad range of projects designed to increase the state’s water supply. Bravo. It’s a refreshing shift from Gov. Jerry Brown’s stubborn insistence that California spend $19 billion on a project that wouldn’t add a drop of new water to the state supply. Salinas Valley farmers would cover the bulk of administrative costs for a state-mandated groundwater sustainability agency charged with balancing use and recharge in the agriculture-rich region under a proposal to be considered Thursday. Farmers would pay about 90 percent of the Salinas Valley Basin groundwater sustainability agency’s proposed $1.2 million annual budget for the 2019-20 fiscal year or about $1.08 million through a $4.79 per acre annual “regulatory” fee under the proposal, while public water system customers would contribute about $120,000 per year through a $2.26 annual fee. The interrelated nature of water issues has given rise to a management approach that integrates flood control, environmental water, and water supply. The Yuba Water Agency manages its watershed in this kind of coordinated manner. We talked to Curt Aikens, the agency’s general manager, about the lessons they’ve learned from this “integrated management” approach. Two experts from Stanford’s Water in the West program explain the potential impacts on the future of water in California of the proposed plan to downsize the $17 billion Delta twin tunnels project. … Leon Szeptycki, executive director of Stanford’s Water in the West program, and Timothy Quinn, the Landreth Visiting Fellow at Water in the West, discussed the future of water in California and potential impacts of a tunnel system. Assembly Bill 533 exempts any rebates, vouchers, or other financial incentives issued by a local water agency or supplier for expenses incurred to participate in a water efficiency or storm water improvement program from state or corporate income tax. Farmers, water managers and government agencies agree: Groundwater sustainability is critical for California. But achieving it could bring significant changes to the state’s agricultural landscape, according to speakers at a Sacramento gathering of water professionals. Metropolitan’s Board of Directors voted Tuesday (Feb. 12) to double the rebate the agency offers for replacing turf, increasing it to $2 a square foot of grass removed. The board also adopted other changes to make it easier to participate in the program. Congressman Kevin McCarthy led his California colleagues in sending letters to the U.S. Bureau of Reclamation requesting a substantial initial water supply allocation to Central Valley Project contractors using authorities under the Water Infrastructure Improvements for the Nation (WIIN) Act. Additionally, he and his colleagues from California also sent a letter to the California Department of Water Resources calling for an increase to the existing water supply allocation to State Water Project contractors given current hydrological conditions. Felicia Marcus, whose push for larger river flows angered farmers and community leaders in the Northern San Joaquin Valley, won’t continue as chairwoman of the State Water Resources Control Board. Gov. Gavin Newsom named Joaquin Esquivel as chairman of the powerful water regulatory board. … Laurel Firestone, co-founder of the Community Water Center, was appointed as the replacement for Marcus. … Firestone has been an advocate for addressing wells contaminated with nitrates. Climate change is fundamentally transforming the way we manage water in the Western U.S. The recent Fourth California Climate Change Assessment lays out the many pressures facing water managers in California in detail. One key take-away of that Assessment is that past climate conditions will not be a good proxy for the state’s water future, and smarter strategies are needed to manage California’s water. It’s all up to the Imperial Irrigation District. The fate of a seven-state plan to address dwindling Colorado River water supply now appears to rest squarely with the sprawling southeastern California water district. Its neighbor to the north, the Coachella Valley Water District, voted unanimously on Tuesday to approve interstate agreements that would conserve water for use by 40 million people and vast swaths of agricultural lands. Lawmakers from both parties said the bill’s most important provision was to permanently reauthorize the federal Land and Water Conservation Fund, which supports conservation and outdoor recreation projects across the country. The program expired last fall after Congress could not agree on language to extend it. Three new directors representing the cities of Fullerton and Santa Ana, and the Inland Empire Utilities Agency were seated today on the board of directors of the Metropolitan Water District of Southern California. The Humboldt Bay Harbor, Recreation and Conservation District today approved the lease agreement, which will last 30 years after an initial 3-year period set aside for vetting and permitting the company. … But some fishermen and other county residents voiced skepticism about how closely the company has been vetted, as well as criticism of the district’s swift decision to sign onto the lease. A powerful “atmospheric river” storm is expected to pummel Northern California starting Tuesday night and deliver heavy rain, gusty winds, downed trees, power outages and rough driving conditions Wednesday and Thursday. … The storm should bring up to 5 feet of new snow in the Sierra Nevada, forecasters said. The National Weather Service announced flash-flood and high-wind warnings for the Bay Area, along with Santa Cruz and Monterey counties. Work will soon begin on a $6 million effort to upgrade Oxnard’s wastewater treatment plant. The City Council this week awarded a contract to the Livermore-based GSE Construction Co. to upgrade facilities that are at the highest risk of failure. The project includes repairing settling tanks known as primary clarifiers, bio towers that filter waste and other equipment. What happens when the next big wildfire hits California? Don’t be fooled by the precipitation, the snowpack, the wildflowers. When winter ends, it’s unlikely that California’s iconic landscape will sustain the moisture to withstand the 100-degree summer and fall. … State fire officials are already amassing new aircraft that drop thousands of gallons of bright red flame retardant. Emergency responders are pre-positioning fire crews in high-threat areas even before a fire starts. Cove, which is launching later this month, is packaged in a bottle made from a biopolymer called PHA. If the bottle ends up in a compost bin or landfill–or even the ocean–it will fully biodegrade. … The company, which is a public benefit corporation, has guidelines that say it won’t source from areas that are currently in a drought. Connie Bakken opened her bedroom window Sunday morning and didn’t quite believe her eyes. Bakken lives in a Rancho Bernardo home that overlooks a creek just west of Matinal Circle. What she saw – the creek where she loves to watch turtles and crabs live naturally turn into a deep, unnatural purple. An effort is underway to hire a full-time watershed coordinator focused on forest management projects in the Yuba River Watershed and a grant from the Yuba Water Agency could help. … The coordinator would work with public and private landowners to plan and coordinate projects within the watershed, including a biomass facility in Camptonville and a forest health project in the north Yuba Watershed. Back in 2015, the city of San Diego expected it would get about a third of its drinking water from recycled sewage within 20 years and could do so for about $3 billion in construction costs. Now, the city is looking to spend no less than $4.8 billion and perhaps as much as $9 billion on the project, according to city financial documents, including previously undisclosed internal estimates from the Public Utilities Department. Our floodplain reforestation projects are biodiversity hotspots and climate-protection powerhouses that cost far less than old-fashioned gray infrastructure of levees, dams and reservoirs. They provide highly-effective flood safety by strategically spreading floodwater. Floodplain forests combat the effects of drought by recharging groundwater and increasing freshwater supply. Of the 517 groundwater basins and subbasins in California, local agencies submitted 43 requests for basin modifications for either scientific or jurisdictional reasons. … In the draft decision, DWR approved 33, denied seven, and partially approved three modification requests. The Department of Water Resources reported last week that the surface level of most of the Sacramento Valley wasn’t dropping, which is incredibly good news. But it’s the kind of news that most people can not appreciate. A year after Colorado River imports were diverted to urban areas from farms draining into the lake, dire predictions about what would occur are coming to pass. A long-predicted, enormous ecological transition is occurring this winter. Just over half the city’s infrastructure needs are in the city’s Public Utilities Department, which is responsible for sewage, water and the city’s ambitious water recycling program, Pure Water. The city expects to have all the money it needs in those areas because they are funded by water and sewer rates. The picture is far less rosy for infrastructure that has less reliable revenue sources. The city is short $719.8 million for stormwater infrastructure — by far the biggest unfunded capital need in the city. The Colorado river crisis ought to be upsetting markets. The U.S. waterway supports some $4 trillion in GDP and at least $1.3 trillion in stock value across seven U.S. states. The river was already virtually tapped out last century, and continuing troubles have now led the federal government to step in to help manage its water use. Yet investors have barely caused a ripple. The problem with Felicia Marcus is that she never stopped working for the environmental movement. Yes, she’s paid by the state to represent all Californians as chairwoman of the State Water Resources Control Board. Yet, she has utterly failed in her duties to the state, treating this job as an extension of her old one – attorney for the Natural Resources Defense Council. The Imperial Irrigation District holds among the oldest and largest rights to water from the Colorado River and is using that as leverage to get what it sees as a better deal in current drought contingency plan negotiations involving states that draw from the river. Among the hardball tactics IID is putting in play: A demand that the federal government provide $200 million for efforts to bolster the beleaguered Salton Sea. Arizona and California aren’t done finishing a plan that would establish how states in the Colorado River Basin will ensure water for millions of people in the Southwest, said the head of the agency running the negotiations. … One challenge comes from the Imperial Irrigation District, a water utility that serves the Imperial Valley in southeastern California. It hasn’t signed California’s plan because it wants $200 million to restore the vanishing Salton Sea, the state’s largest lake. Desert Sun: Editorial: Imperial Irrigation District ties Colorado River plan to Salton Sea funds. Make it happen. About 1 million Californians can’t safely drink their tap water. Approximately 300 water systems in California currently have contamination issues ranging from arsenic to lead to uranium at levels that create severe health issues. It’s a disgrace that demands immediate state action. As PG&E Corp. plunged into bankruptcy last month, S&P Global Ratings slashed credit grades almost to junk status for California’s two other big electric utilities, owned by Sempra Energy and Edison International, and said they could go lower. The reason: inverse condemnation. Under the state’s view of this legal doctrine, utilities can be held liable for any fires sparked by their equipment, even if they follow every safety rule. Wednesday, the California Fish and Game Commission made Klamath-Trinity spring Chinook salmon a candidate for listing under the California Endangered Species Act. The decision was in response to a petition filed last year by the Karuk Tribe and the Salmon River Restoration Council. A final decision to list the species will be made within 12 months; in the meantime Klamath-Trinity Spring Chinook will be afforded all the protections of a listed species. According to the government, the proposed rule is also consistent with the statutory authority granted by Congress, legal precedent, and executive orders. Notably, the proposed definition would eliminate the process of determining whether a “significant nexus” exists between a water and a downstream traditional navigable water. Once criticized for being a profligate user of water, fast-growing Phoenix has taken some major steps — including banking water in underground reservoirs, slashing per-capita use, and recycling wastewater — in anticipation of the day when the flow from the Colorado River ends. In 70 years, San Francisco as we know it could look drastically different. Gentrification, development and the other forces of urban change we fret about may be mere trifles compared to the drastic effects of climate change, including the rise of sea levels and erosion, scientists say. By 2100, rising sea levels could displace more than 480,000 people along the California coast and result in property losses upwards of $100 billion if no preventative measures are taken, according to a 2009 study by the California Climate Change Center. Putting solar panels on water is a great idea–but will it float? Although U.S. adoption has been slow, some recent deals may turn the tide. A typical installation consists of solar panels on pontoons tethered to the bottom of a reservoir or retention pond—considered easier to utilize than lakes. Floating or underwater cables carry direct current to an inverter on shore where it is converted to alternating current and sent to the local grid. Engineers must consider multiple factors: systems have to withstand high winds and waves, panels must be resistant to corrosion and anchors have to last for 25 years or more. For every one of the nearly two dozen people who spoke at a public hearing Wednesday in Arcata, removing the dams is both necessary and overdue. Fishing populations have been depleted and stretches of the river have become toxic because it doesn’t flow freely, attendees said at the D Neighborhood Center public hearing. Members of various state agencies, including the state Division of Water Rights and the state Water Resources Control Board, listened and took notes. The agencies’ draft EIR is the latest step in a process spanning many years. A notice published recently in the Federal Register is not sitting well with Imperial Irrigation District. That notice, submitted by the Department of Interior through the Bureau of Reclamation and published on Feb. 1, calls recommendations from the governors of the seven Colorado River Basin state for protective actions the Department of Interior should take in the absence of a completed drought contingency plan. KUNC: What is happening with Colorado River drought plans? An environmental group demanding that Nestle stop pumping millions of gallons of water from a California creek failed to persuade a federal judge that the government should disclose records related to the Swiss company’s bottled water operations. … In the FOIA case, Judge McFadden ruled that the government had correctly cited exemptions that prevented it from releasing information related to Nestle’s trade secrets and other sensitive corporate data. Despite many high priority issues on his plate, one of Gov. Gavin Newsom’s first tests will be how he deals with California’s water challenges and opportunities. Unfortunately, in the last days of his term Gov. Jerry Brown made a bad bargain with the Trump administration and special interests. It’s yet another mess for the new governor to mop up. A leader in a grassroots group pushing for interagency transfers to solve regional water supply shortfalls has filed an environmental lawsuit against Soquel Creek Water District. The civil lawsuit … takes aim at the water district’s Pure Water Soquel project, which its board of directors approved in December. The suit points to alleged shortcomings in Pure Water Soquel’s state-mandated environmental impact report. Sponsor one of the largest one-day water conferences in Southern California with key decision-makers from across the watershed. Be recognized as an industry leader; gain exposure for your organization; receive complimentary conference tickets. At the conference you will be provided an exhibit space, which offers the chance to network and discuss ideas and opportunities with conference attendees during the morning and afternoon networking sessions. They are giant conveyor belts of water in the sky, moisture-rich storms that roll in from the Pacific Ocean a few times a year to fill California’s reservoirs… But distinguishing a good atmospheric river storm — a modest one that can help end a drought — from a catastrophic one that can kill people has been elusive. On Tuesday, that changed, as scientists published the first-ever scale to rank the strength and impact of incoming atmospheric rivers, similar to the way hurricanes are classified. An assortment of groups … joined the legal fray in courts over the State Water Board decision in December to reduce water diversions for farms and cities from the Tuolumne, Stanislaus and Merced rivers. The emotions leading up to the Dec. 12 decision have touched off debate on what exactly could restore a severely impaired delta estuary and depleted salmon populations and what it will cost for Central Valley communities. While campaigning for president in 2016, Donald Trump promised a cheering Fresno crowd he would be “opening up the water” for Central Valley farmers… Trump took one of the most aggressive steps to date to fulfill that promise Tuesday by proposing to relax environmental regulations governing how water is shared between fish and human uses throughout the Central Valley. The California Fish and Game Commission on Wednesday will consider a petition to list spring run Chinook salmon on the Upper Klamath-Trinity River as threatened or endangered under the California Endangered Species Act. The California Department of Fish and Wildlife is recommending the Fish and Game commission accepts the petition, which was submitted by the Karuk Tribe and the Salmon River Restoration Council in July 2018. A major deadline just passed without unanimous agreement among Western states over the future of the Colorado River, so the federal government is one step closer to stepping in on the dwindling river that provides water for 1-in-8 Americans. The path forward has become murkier for the drought-stricken region now in its 19th year of low water levels after a January 31 deadline failed to garner signed agreements from Arizona and California. The California Farm Bureau Federation has filed a lawsuit to block by the State Water Resources Control Board’s plans for the lower river flow of San Joaquin River. In a press release, the Farm Bureau said that the Board’s plan , which was adopted last December, “misrepresents and underestimates the harm it would cause to agricultural resources in the Central Valley”. In a step to secure water supplies well into the future, the Palmdale Water District Board of Directors unanimously approved extending the contract for water imported from Northern California for another 50 years, to 2085. The contract with the state Department of Water Resources for State Water Project water … accounts for 50% or more of the district’s water supply. It is becoming especially important as a result of the court settlement that sets limits on groundwater pumping for the Antelope Valley. A partnership between Monterey One Water and the Monterey Peninsula Water Management District, the project is designed to produce up to 3,500 acre-feet of highly treated water per year to the Peninsula for injection into the Seaside basin and later extraction and use by California American Water for its Peninsula customers. … The recycled water project is a key part of the proposed replacement water supply portfolio for the Peninsula to offset the state water board’s Carmel River pumping cutback order. All eyes were on Arizona this week as state lawmakers took a last-minute vote on their part of the pact. They approved the plan Thursday afternoon, just hours before the deadline, but Arizona officials still haven’t finalized a variety of documents. In addition, a California irrigation district with massive river rights has yet to sign off on the agreement. On Friday, Bureau of Reclamation Commissioner Brenda Burman … said the agency would start the formal legal process of soliciting comments on how it should impose cuts. 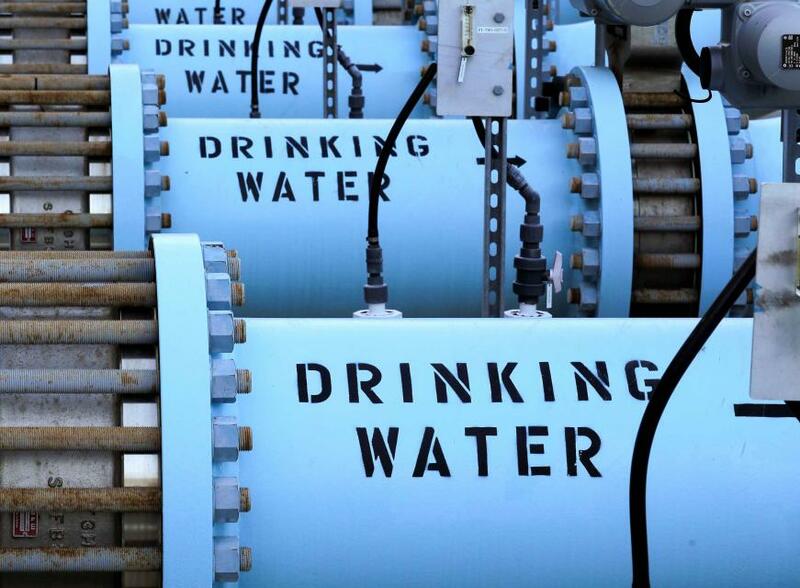 A new $50 million California American Water pipeline is officially in use. According to Cal Am engineering manager Chris Cook, the pipeline began conveying water from the Carmel River to the Seaside basin as part of the aquifer storage and recovery program last week, allowing the company to start reversing the historic flow of water from northward to southward and save money and energy in the process. The tiny town of Arbuckle in Northern California sank more than two feet in nine years. The revelation comes from a new survey that tracked subsidence — the gradual sinking of land — in the Sacramento Valley between 2008-17. Located about 50 miles north of Sacramento, Arbuckle (pop. 3,028) sank more than any other surveyed area. … Subsidence has long been an issue in California, but its recent acceleration was likely fueled by an extreme drought that plagued California between 2012-16. The rise of wind and solar power, coupled with the increasing social, environmental and financial costs of hydropower projects, could spell the end of an era of big dams. But even anti-dam activists say it’s too early to declare the demise of large-scale hydro. A $500,000 program to mitigate for destruction of artificial habitat created by Placer County Water Agency canal leaks has ended. The Water Agency started working in the mid-2000s to fix ongoing leaks along its canals and confronted a problem of its own doing. The leaks had created what state Environmental Quality Act standards defined as artificially established wetlands and habitat for wildlife. Details of the Sacramento River portion of the SWRCB’s plan are still preliminary, but we expect the required water releases to be higher for the Sacramento River, and its tributaries, than they are for the San Joaquin River. SWRCB staff is currently recommending that between 45 and 65 percent of the natural runoff of northern California rivers be allowed to flow to the ocean unimpeded. A group of Northern California lawmakers seeking more sway over a mammoth $17 billion water project introduced a proposal Friday that would require new construction contracts to be reviewed by the Legislature. The Legislative Delta Caucus says because of the scope of the California WaterFix, the project should require more scrutiny from both the public and lawmakers now that former Gov. Jerry Brown has left office. By this time next year, 21 critically over-drafted groundwater basins in California must submit plans to the state’s Department of Water Resources for how to bring their basins back into balance. With this major deadline looming, it’s crunch time for water managers and their consultants – some of whom will begin releasing draft plans in the next six to eight months seeking required public comments. Twenty-three early to mid-career water professionals from across California have been chosen for the 2019 William R. Gianelli Water Leaders Class, the Water Education Foundation’s highly competitive and respected career development program. The class will spend the year examining the impact wildfires have on the supply and quality of water resources in California. These red-state GOP governors are not taking aim at greenhouse-gas emissions like their blue-state Republican counterparts. Still, environmentalists should not dismiss their momentum on water. In several states won by Trump, water, literally a chemical bond, is also proving a bond that brings disparate people, groups, and political parties together around shared concerns for the Everglades, the Great Lakes, the Colorado River, and other liquid life systems. Gov. Doug Ducey signed a drought contingency plan Thursday afternoon, six hours ahead of the deadline set by a key federal official for the state to act or face having its Colorado River water supply determined by her.That came despite objections from some legislators who questioned why the state will allow Pinal County farmers to once again pump groundwater for their crops and will also provide cash to help them do it. Communities along the Colorado River are facing a new era of drought and water shortages that is threatening their future. With an official water emergency declaration now possible, farmers, ranchers, and towns are searching for ways to use less water and survive. Third in a series. Warnings of doomsday on the river are nothing new. Too many people, farms and factories depend on too little water, which is why the Colorado now rarely flows to its end point at the Gulf of California. The sprawling Southwest has sucked the river dry. Yet the region has thrived in spite of the naysayers. Until now, it appears. Arizona lawmakers appear on track to pass a Colorado River drought plan, with less than 30 hours to go before a critical federal deadline. A state Senate committee voted 6-1 Wednesday evening to pass a pair of measures that outline how the state would share looming cutbacks on the river’s water and work with other states to take less. The bills now head to the full Senate and House. Both chambers are expected to pass the bills Thursday, an effort that could stretch into the night as they rush to meet a federal deadline. New snow measurements to be taken Thursday are expected to confirm that snow levels in the Sierra Nevada are on par with the long-term average, thanks to a series of storms that thrashed California in January. Those results may sound pretty ho hum, but getting to average is a pretty big thing in today’s topsy turvy world of snow analysis, where the absence of pending disaster due to too little snow is something to celebrate. Five dams across California – including one in Lake County that forms Lake Pillsbury – have been listed as key for removal by an advocacy group in the effort to stop the extinction of native salmon and steelhead. In response to what it calls a “statewide fish extinction crisis,” which indicates 74 percent of California’s native salmon, steelhead and trout species are likely to be extinct in the next century, the fish and watershed conservation nonprofit organization California Trout on Tuesday released its list of the top five dams prime for removal in the golden state. Natalie van Doorn, a research ecologist with the U.S. Forest Service, said that many of the trees commonly planted in urban areas in California are temperate species that require a lot of water to survive in hot and dry conditions. … Across the U.S., metropolitan areas may lose an average of 6 percent of their tree species as warming trends continue. … Alison Berry, a professor of plant sciences at the University of California-Davis, said that drought stress was likely a bigger factor than heat.